Get in touch with our experts in sunny Hove for friendly, tailored advice that puts you first. Hove, East Sussex is a large town located in South East England. 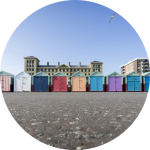 Hove is part of the City of Brighton and Hove forms part of the greater Brighton and Hove built-up area, a Unitary Authority in Sussex. A variety of businesses make East Sussex and Hove their home. 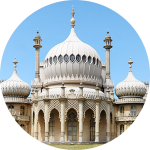 Brighton and Hove incorporate a number of villages and settlements including Aldrington, Old Steine, Bevendean, Black Rock, Brunswick, Coldean and Hangleton. The City of Brighton and Hove also encompasses Hollingbury, Hollingdean, Hove, Mile Oak and Moulsecoomb. Other districts of Brighton and Hove, Sussex include Rottingdean, Portslade-by-Sea, Patcham, Saltdean and Ovingdean. Brighton and Hove’s Urban Area covers Woodingdean, Withdean, Westdene and West Blatchington. The Brighton and Hove Municipality contains Stanmer, Brighton Marina and Bear Road area. The Hove postcode district is the BN3 postcode area. Queen’s Park, Brighton and Preston Park, Brighton are most notable parks near Hove and known throughout England. Hove is the starting-point of the A23 road and Intersects with the A27 road. 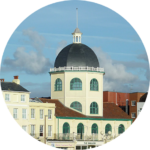 Bordering to the West of the town of Hove is Sompting, Worthing, Southwick, Shoreham, Littlehampton and Lancing. 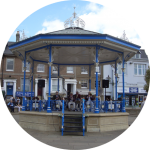 Bordering on the East of the City of Brighton and Hove is Lewes, Peacehaven and Burgess Hill.